It’s not often that we’re thrilled to be allocated the dunny-view site at a campground. 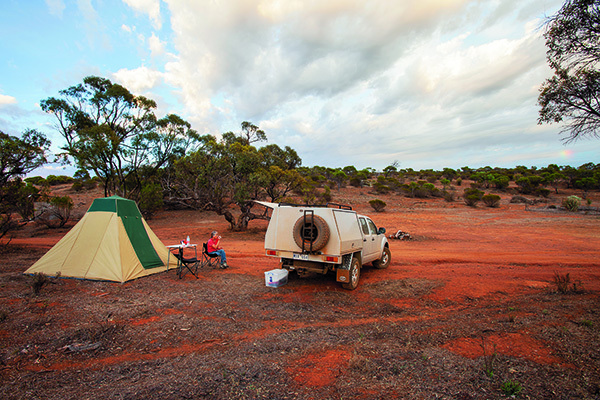 Yet, with the panorama of a beautiful valley, not another soul in sight, and being surrounded by that special silence that only the Aussie bush can create, Number Four Camp at Willangi was the perfect place to be. 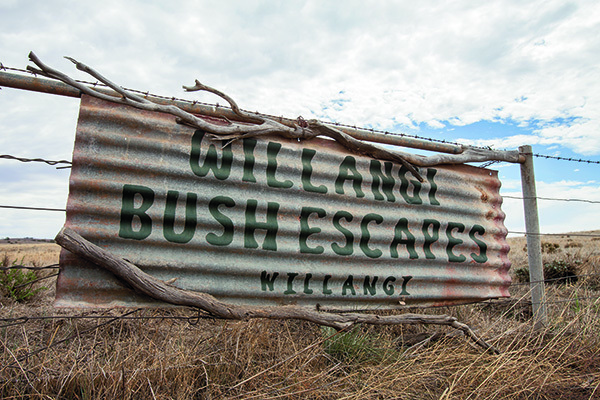 Located about 15km out of Peterborough in the mid-north of South Australia, Willangi Bush Escapes is exactly what its name suggests. It’s just a two-hour drive from the outskirts of Adelaide, so makes for an excellent weekend break. It is, however, equally as good for travellers on the long-haul. The property is one of four owned and managed by the Willangi crew – Antoinette, Neil and Phil – and is used primarily for grazing and cropping. 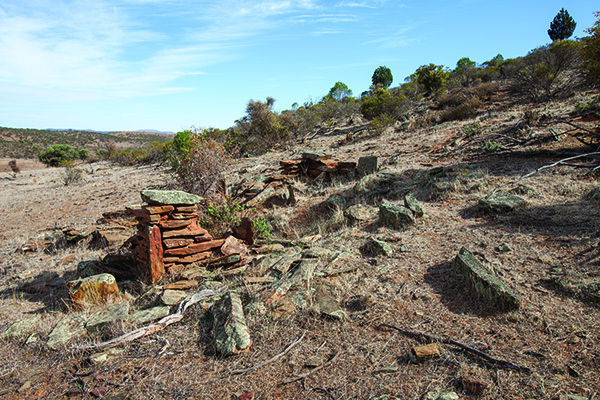 In the scheme of the stations’ history, tourism is a relatively new sideline so specific facilities have been set up for campers and 4WDers to provide a real bush-escape experience. 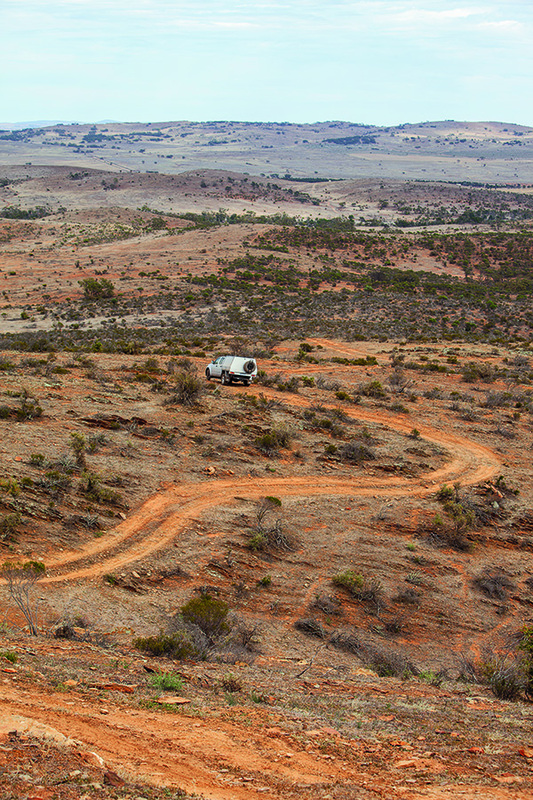 There’s only a handful of campsites at Willangi and each has its own private access track, so there’s little chance of drive-throughs. It would also be rare to see the 4WD tracks crowded. Individual camps are a good size, with enough room for large groups to set up. Campsites at Willangi need to be booked in advance, and keys to the site need to be picked up from the office in Peterborough. Along with the key comes a booklet with a few mud maps, interesting facts about the property, and a list of rules and regulations – most of which are common sense. 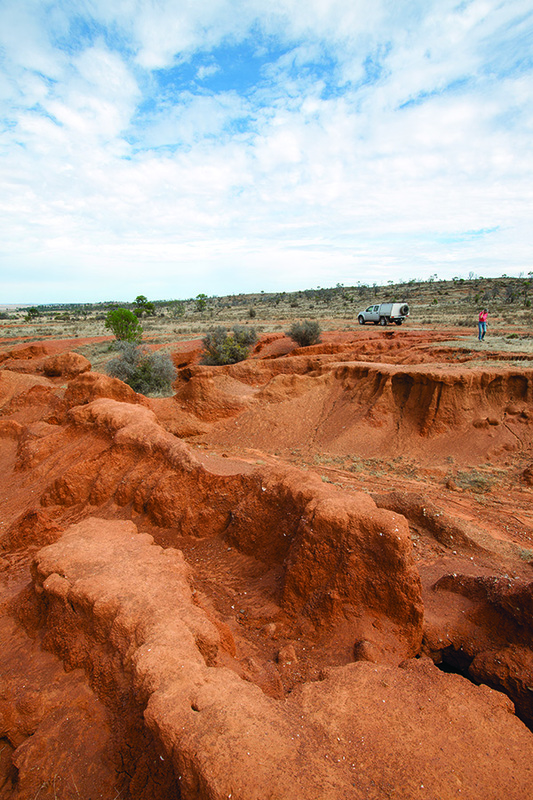 Travellers who opt to tackle the 4WD tracks are given extra mud maps that cover the country beyond the campsite areas. It’s a fairly quick run from the office in Peterborough to Willangi’s boundary gate, mostly on a well-formed dirt road. From the gate (don’t lose that key), a station track links the various campsite access tracks. These are easy to negotiate, and with a bit of care, some are even suitable for sedans. Each camp is numbered and named, and each has a drop dunny that adds a touch of bush-basic sophistication. The only other facilities are a fireplace and drums for recyclable cans and bottles. Enough wood for a campfire is supplied but wood collection isn’t allowed on the property. One campsite, however, does have a hint of luxury with an outdoor bathtub. A 44-gallon drum serves as a donkey for hot water and, while a few shrubs give some privacy, there’s little else to block the views of surrounding hills. 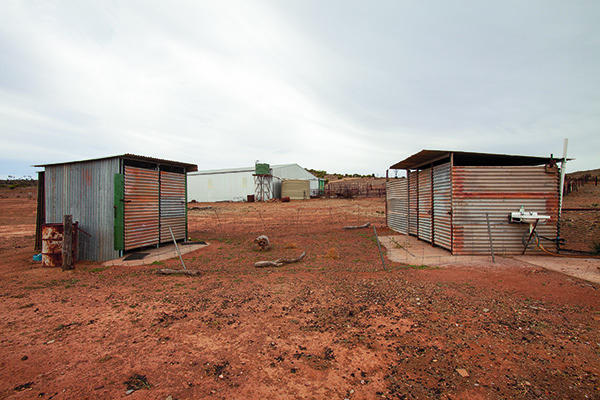 Campers not on the bath-suite site have access to a central shower block – $1 for a three-minute shower is good value in this dry and dusty country. Willangi’s track network is pretty interesting and is spread over different parts of the property. There’s a combination of easy, hard and harder tracks to suit different vehicles and driver skill levels, with a few interchanges to cut-and-run or to extend the 4WDing experience. Minimal route notes, supplied with the mud-map pack, are supplemented by on-track signage with warnings for the most difficult sections. In the Grants Hills area of the property, the Eldoratrilla Track gives an excellent overview of the region. This one is rated medium-high with a fair dose of steep gradients, side slope and sharp rock sections to clear. Views from the top toward the southern Flinders Ranges are impressive and it’s possible to get mobile phone service from this vantage (there is no service in the campsite valleys). In parts, the tracks touch on local history, such as the Slate Pit Hills where slate was quarried many years ago for the footpaths and kerbing in Peterborough. 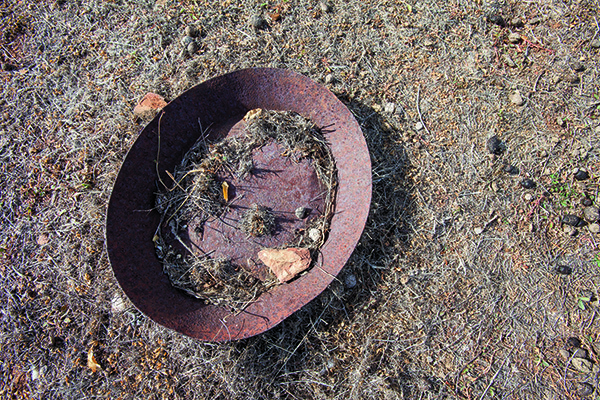 Millers Tracks, on a remote part of the property, provides a glimpse of the workings of the station both past and present. 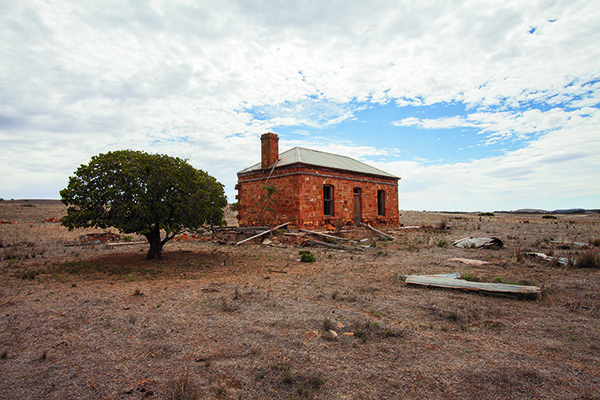 Millers runs past saltbush plantations and through a maze of gates before meandering across rough rolling hills. Thick bulldust is likely to overtake vehicles purely because of the slow driving pace required. With such a range of tracks spread over a huge slice of country, it’s not too hard to string a few tracks together for a really good day or two of full-on adventure. Rocky terrain, coupled with the nature of the hills and ranges, offers a good challenge for drivers and vehicles, while the tracks are just long enough for a great experience without becoming tedious. There’s no pressure either, to push on through; newbies can pick a lower-level loop and work up to the real rough stuff. In a good season this country would really sing, with a new vista over every ridge and an awesome variety of plants and animals to see. 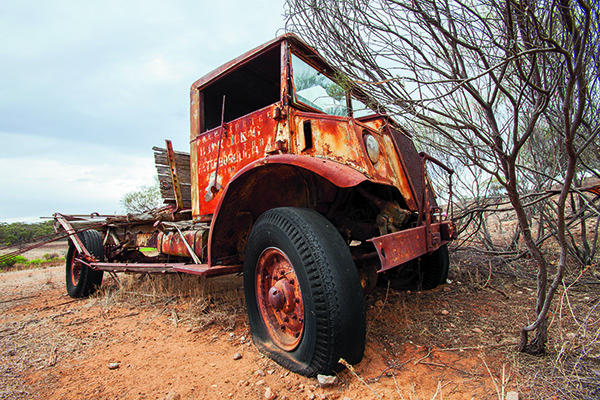 But even when it’s dry and dusty, and you wonder how the hell anything could survive out here, it’s still an attractive part of the world – even more so because it’s not overrun with tourists. 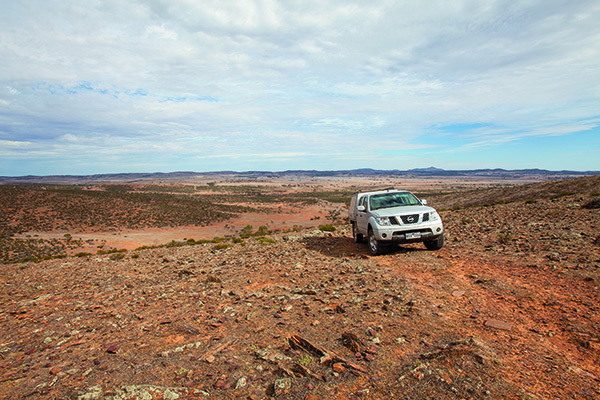 With a good mix of 4WD tracks, campsites and amazing views, Willangi is a great place to kick back and relax. 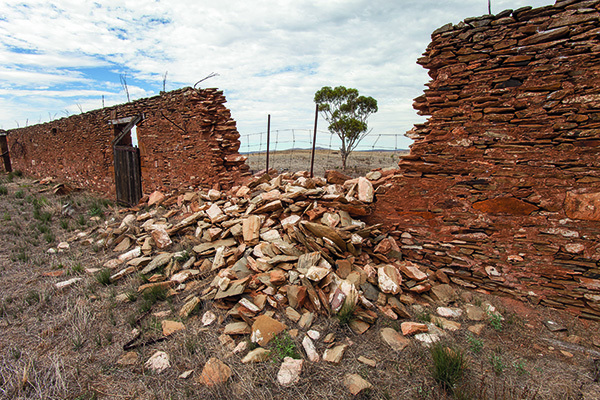 Willangi Bush Escapes is about 15km north-east of Peterborough, SA. Campsites must be booked in advance, and a key picked up from the office in Peterborough. Minimum bookings apply for Easter and other long weekends. Each site has a long-drop dunny (complete with hand sanitiser) and fireplace. Wood is supplied; extra can be purchased if needed (local fire restrictions apply). Other facilities include a central shower block ($1 for three minutes). Dogs allowed on lead with prior permission. 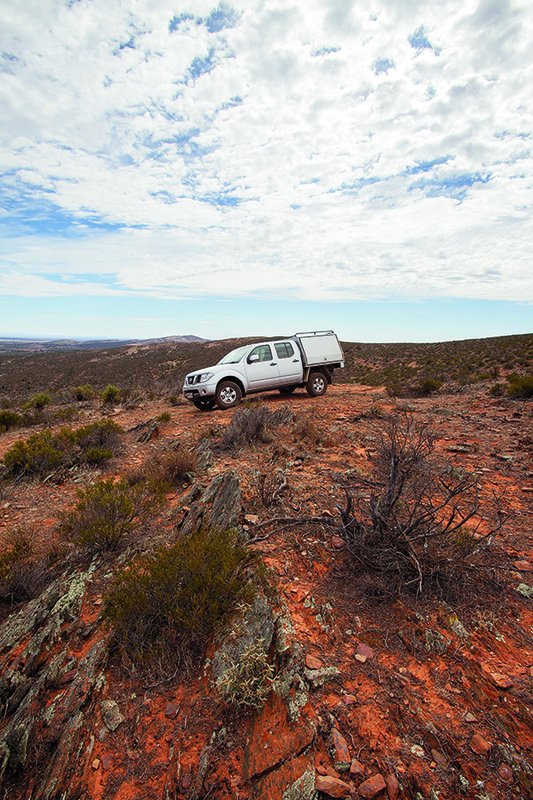 Full 4WD track access costs $45 per vehicle for the duration of your stay; SUVs (limited tracks) $35. Tracks may be closed during wet weather or days of extreme fire danger. Nearby Peterborough is pretty well setup, with a supermarket, servo, newsagent and a few pubs. It’s worth a look-around, too.